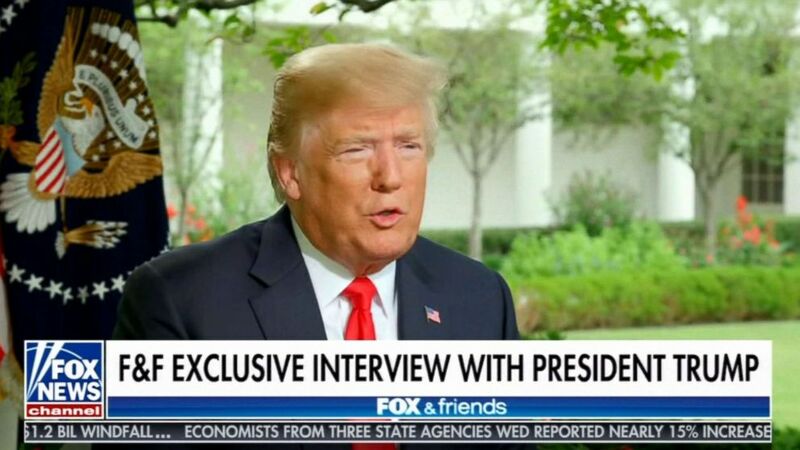 President Trump appeared on Fox News Thursday morning. Two days after President Trump's former personal attorney pleaded guilty to illegal campaign contributions, the president ripped Michael Cohen for "flipping" to accept a plea deal, while also warning that the stock market would tank if the Democrats win control of Congress and move to impeach him. "I don't know how you can impeach somebody who has done a great job," he told Fox News in an interview that aired Thursday morning, giving his job performance an A-plus rating. "I will tell you what, if I ever got impeached, I think the market would crash. I think everybody would be very poor." (Fox News) President Trump in an exclusive interview with Ainsley Earhardt which aired Aug. 23 on 'Fox & Friends' at 6 a.m. ET. As for Cohen, who alleges that the president directed his hush-money payoffs, Trump said deal-making under legal pressure "almost ought to be illegal." "People make up stories,” Trump said. “This whole thing about flipping, they call it. I know all about flipping. “Everything's wonderful, and then they get 10 years in jail, and they … flip on whoever the next highest one is, or as high as you can go." In response to why Cohen would implicate him, the president said it was because Cohen could make a "better deal when he uses" the president, adding that Cohen only worked for him part-time. Trump also said that Cohen’s hush-money payoffs were not campaign related. "They didn't come out of the campaign, they came from me," Trump said. (Yana Paskova/Getty Images) Michael Cohen, former lawyer to President Donald Trump, exits the Federal Courthouse on Aug. 21, 2018 in New York City. Cohen has pleaded guilty to eight counts and said he made illegal campaign contributions "in coordination and at the direction of a candidate for federal office," namely Donald Trump. 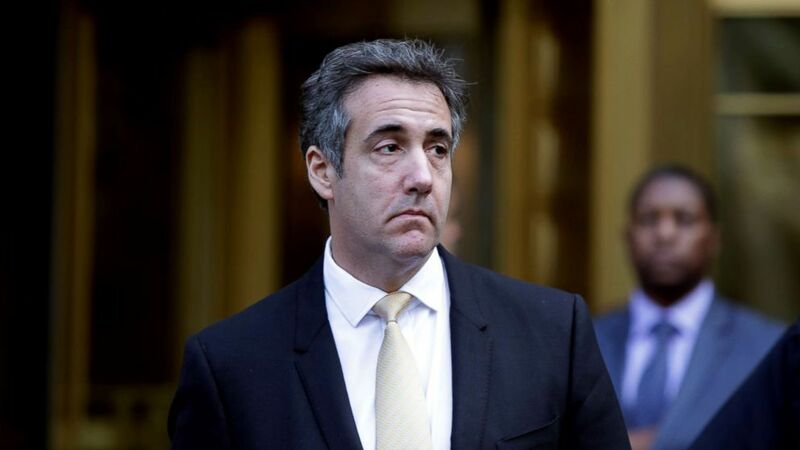 Violations to which Cohen pleaded guilty include playing a role in alleged hush-money agreements with Stormy Daniels and Karen McDougal, two women who claim to have had affairs with Trump. The president has denied the alleged affairs. Turning to Paul Manafort, who was found guilty of tax fraud this week, the president told Fox News he has great respect for his former campaign chairman but was not explicit about whether he would pardon him. He added that 80 percent of the news is a lie and he cited “lunatics” in reference to The New York Times. (Pablo Martinez Monsivais/AP, FILE) President Donald Trump and Russian President Vladimir Putin shake hands at the beginning of a meeting at the Presidential Palace in Helsinki, Finland, July 16, 2018. He held up the media’s less-than-flattering coverage of his meeting with Russian President Vladimir Putin as an example of their perceived shortcomings. 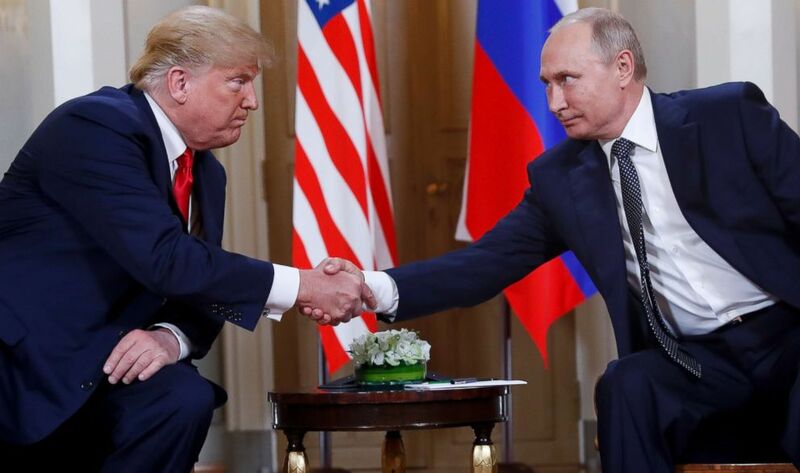 The president has received criticism from members of both parties over his summit with Putin in Helsinki last month. Despite his view that the “press doesn’t cover [him] fairly,” Trump said he would give his performance an A-plus, touting his tax cuts, successful appointment of Supreme Court Justice Neil Gorsuch, regulatory agenda and a strong economy.